Today I have a very lovely post for you guys and I really hope you enjoy it!? This Saturday I'll be attending another lovely wee craft fair right here in Edinburgh. It is only the second date for 'The Market' and already it is becoming a must visit to experience some great local talent. The list of designers, crafters, illustrators and gourmet foodies lined up for this weekend is quite impressive, take a peek at the Facebook page for the full list of stall holders. Emma: Before we get down to the nitty-gritty of The Market can you tell us a wee bit about yourself first? Amelia: I was born in Edinburgh and studied Fine Art in the city. Since graduating I've worked doing events for RSPB Scotland, in the office at The Fruitmarket Gallery and now I work for myself and part-time at a children's charity. 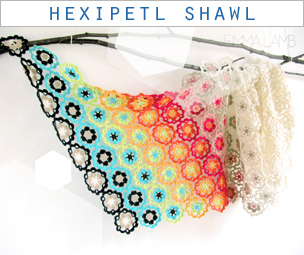 I love designing and making things and spending time outside! E: Do you create yourself and if yes, what do you make? A: I do indeed - I am self-taught in making jewellery from resin and recycled paper-based materials, like vintage stamps, old maps and scraps. My jewellery business Little Red, was set up last July and so far I've had success selling my pieces online, in shops and at fairs. I also make mixed media collages and recently undertook a silversmithing course so now know the basics of working with metals, too. I also do the odd bit of graphic design. 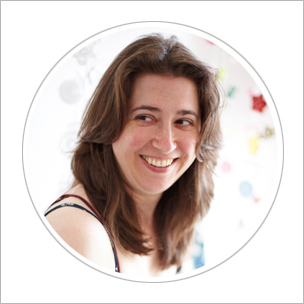 A: While selling my jewellery at craft fairs and markets I noticed that there is a lot of amazing work out there, but that sometimes it gets lumped in with work of a lower quality. I wanted to really showcase Edinburgh's design talent at a market that focuses primarily on good design (with the odd cake thrown in for good measure!). 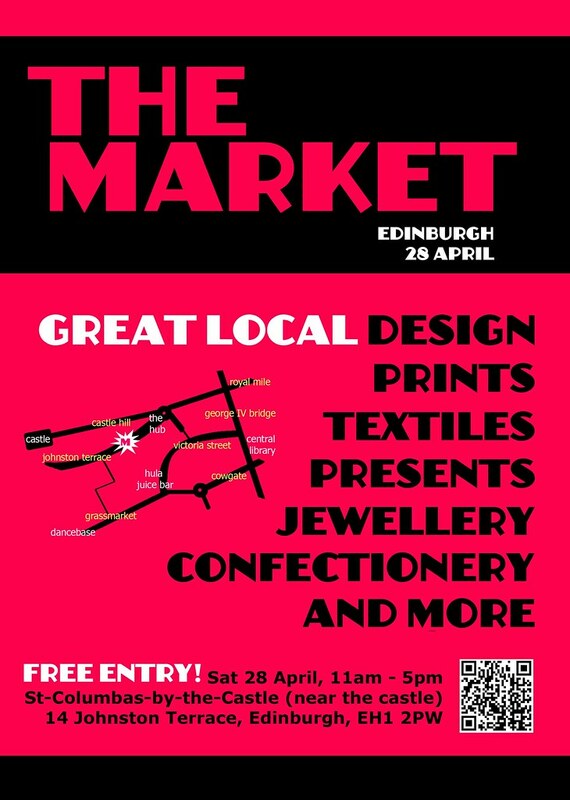 The Market is about creating links within Edinburgh's design community, while allowing the public the chance to see for free the incredible talent on their doorsteps. A key element of The Market is the showcasing of new and student talent, which I hunt down myself, alongside successful, established artists, to give them the contacts and selling experience which are often lacking at art college. I also always offer a free table to a local charity, allowing them to share their work with a new audience for free. E: What it is about Edinburgh's creative community that inspires you most? A: I was so nervous the fist time I went to sell my jewellery in public, but was amazed at how supportive visitors and other stallholders were, offering advice and suggestions and contacts. There's such a diversity of good design here, and I think that needs to be celebrated, but so too does the supportive, friendly and non-competitive culture that I've experienced. As designers and makers of quality products, we have the potential to bring money into the area and increase Scotland's profile on the design map, so we need to work together! E: How do you see The Market developing over the coming years and what is your vision for it as a craft / design platform? A: I would like to be able to expand The Market into various forms and venues - indoor/outdoor, pop-up shops etc. while retaining it's ethos and look. I plan to apply for funding in the future to allow me to continue to offer reasonably priced stalls for all artists, as well as discounted student stalls so that The Market is open to all. I would love to become more involved with local art and design schools in order to prepare talented students for the real world of selling. If funding was secured, there would be more choice of venue and, who knows, perhaps we could have screenings of local animators work and the music of local bands alongside the design work. It will always be free to visit. E: Do you have any exciting projects lined up in 2012 that you would like to tell us about? A: I've been fortunate to meet some great makers while working on The Market, and I'm currently working with four fantastic artists on an exhibition at a popular West End shop, which will take place in early summer. There's also potential for an outdoor market during the festival, so there's lots of planning to be done! E: Lastly, what is your most favourite chocolaty treat? A: I make a pretty amazing chocolate beetroot cake with Chambord liqueur icing! So excited about The Market, it's future, Amelia's upcoming projects and wow! Chocolate beetroot cake, I so need to taste a slice or two of that one day! Lovely - so inspiring! Looking forward to the market on saturday and working with you both over the summer! 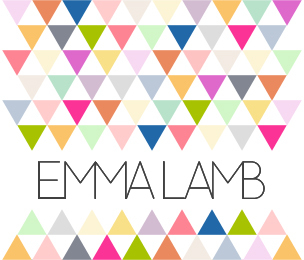 So pleased with this lovely interview Emma - thank you so much! P.S. you can see some of things at my blog http://mypettrianon.blogspot.com if you want to have a look. 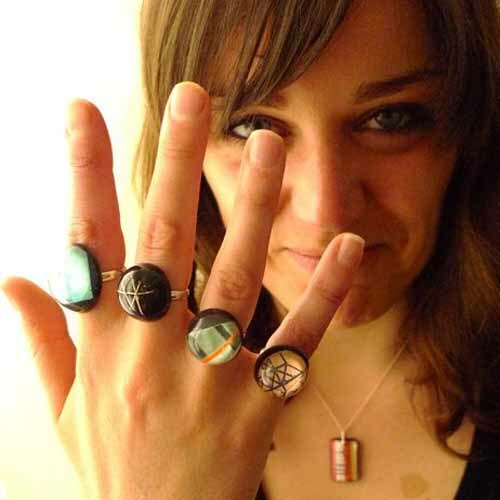 What a great interview, really inspiring and we adore Amelia's jewellery! We're participating this weekend at The Market and it is our ever first stall, all thanks to Amelia :D it's really great to have someone so supportive of new artists as it can be difficult to make that first step!